Every season we see players who have had “off seasons” the year prior for a variety of reasons bounce back the following season. The reasons can stem from injuries, poor quality of line mates, being in a coach’s dog house, or just bad luck. Whatever the reason, some times players bounce back, some don’t. Here are my top five candidates to mount a comeback in 2011-2012. After being first banished from the NHL, and then bought out by the Edmonton Oilers, Souray is making a comeback in Dallas and says he his healthy and motivated to show he can still play. Now 35 years old, Souray is probably not going to be able to return to his glorious fifty points and 100+ penalty minute days. However, IF he can stay healthy, and IF he has recommitted he has the ability to be very successful and have considerable fantasy value. Souray has a lethal point shot, and playing with a set up partner on the power play like Goligoski that due could be formidable. Just signing an NHL contract has earned Souray comeback recognition, but he will only really have made a significant comeback if he can produce 30+ points. Do I think Lecavalier will be able to get back to the 1oo point level…no. But Lecavalier has been plagued by injuries for a few years now and if healthy a nice comeback is probable. 19 points in 18 playoff games, and 13 points in the final ten regular season games seems to indicate he is both healthy again and more than capable! Only 31 years old and surrounded by elite level offense (Stamkos, St. Louis) look for Lecavalier to get back to the 75-80 point range. After enjoying a phenomenal breakout sophomore season the prior year in which Doughty scored 59 points and won Olympic gold playing for team Canada, Doughty struggled last season posting only 40 points in 76 games. Part of the problem last season was the concussion Doughty suffered that had him miss 6 games. However, a slow start and finish were real problems as well. Doughty only scored seven points in his first 21 games, and only three in his final 13. Currently Doughty is unsigned but no doubt will receive a big time contract from his childhood favorite team in Los Angeles and will be determined to prove he is worth it. The kings added some significant help this off season as well bringing in Mike Richards in a deal with Philadelphia and signing free agent winger Simon Gagne. Entering his fourth season now, (usually the season where players breakout) Doughty is poised to return to an elite level and produce close to sixty points again. A Norris trophy nomination is a distinct possibility. Last season was a disaster for New Jersey and Kovalchuk. The team’s fortunes changed too little to late after changing coaches, but the change had a significant impact on Kovalchuk who scored at a 71 point pace afterwards. 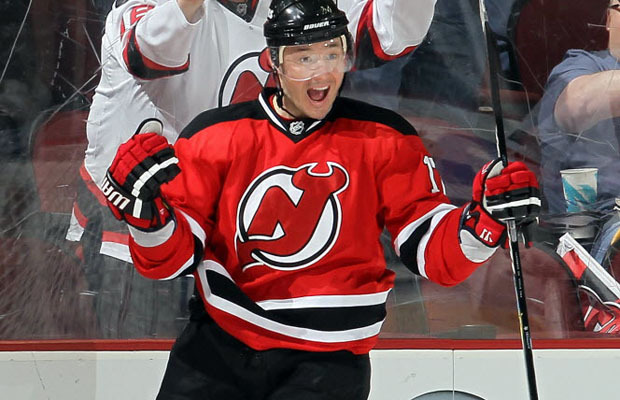 In the first twelve games, Kovalchuk scored only six points and was a healthy scratch for a game. In the final ten he scored nine points. Now with a fresh season and a healthy Parise to provide offensive support, look for Kovalchuk to regain his prolific scoring ways and flirt with 80-90 points again, a significant improvement from last season’s 60 point nightmare for fantasy owners. If you owned these players in a keeper league, last year was tough. Hopefully you were wise enough to hold onto these stars as you will be heavily rewarded for your patience this year when they make their come back. If you were foolish enough to give up, well you are in for another frustrating year as their new owner laughs all the way to the top of the standings. Honorable mention to: Jason Spezza, Ottawa. Dany Heatley, Minnesota. Josh Harding, Minnesota. Posted by pharling at 6:35 p.m. Anonymous January 27, 2012 at 4:58 a.m.